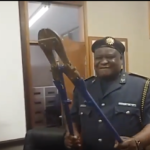 A virtual mountain of dangerous weapons was confiscated from hundreds of people during the normal Festive Season crime prevention operation of the Namibian Police in the Erongo Region. According to Erongo Regional Commander, Commissioner Andreas Nelumbu, the crime prevention operation already started at the end of November and it will continue well into January. He said the normal operation got a welcome boost when soldiers of the Namibian Defense Force joined the police under the auspices of Operation Hornkranz. A very large portion of the dangerous weapons put on display were the dreaded Okapi knives. At least 200 were taken away from people by the police. 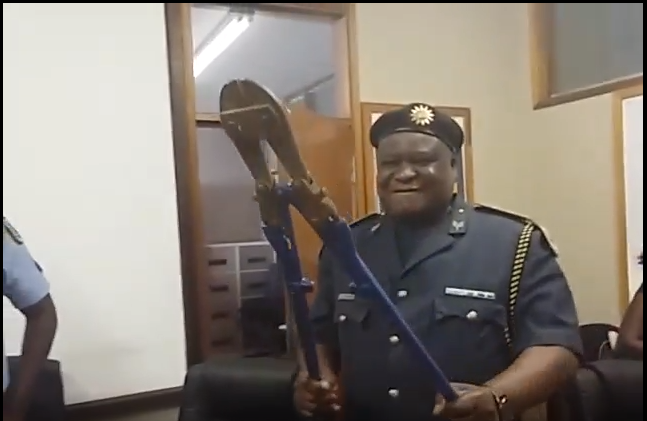 Police officers also found people in bars armed with pangas and even swords. Commissioner Nelumbu said some of the people were charged with possession or carrying of dangerous weapons in public. Others were charged with possession of illicit drugs but that the quantities found were small. Commissioner Nelumbu also gave some statistics and said during the holiday season 181 motor vehicle accidents were reported to the police in the Erongo Region. He said only five people died and 28 were injured droning all these accidents. According to the commander 51 cases of driving under the influence of alcohol, two cases of murder and four suicides were reported so far and said the statistics show a decline in instances of crime in general.